Ceramic Mug Making Lesson | Oh Look, Krill! 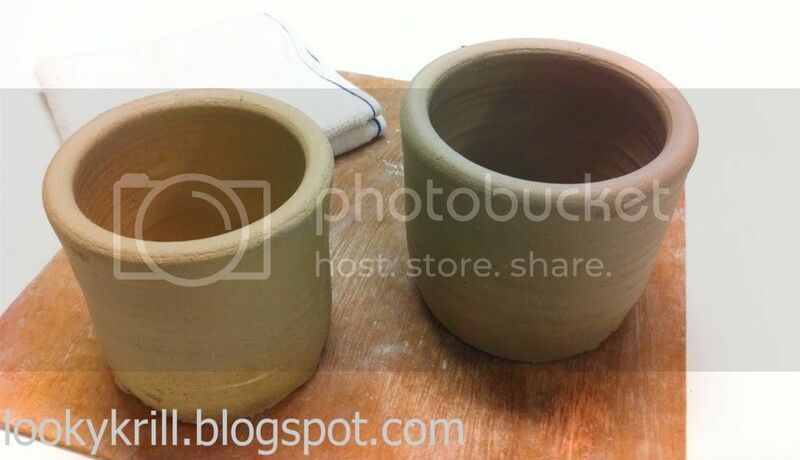 Over the weekend, my friends and I headed down to the Goodman Arts Centre for the adult mug making class. Ceramics/clay works was something most of us have not tried and we thought, why not? On that scorching, Saturday afternoon, I met up with Sarah, Joelyn, Avariel and Raven at Mountbatten. Before this, I’ve never even heard of Mountbatten and didn’t even know how to get there, even though there’s a train station right smack in the middle of it. When all of us were present, we made our way to the Arts Centre. 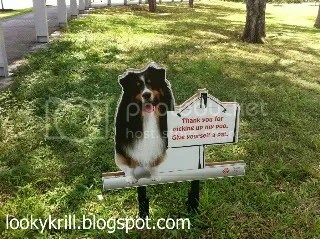 That was when I saw this sign. 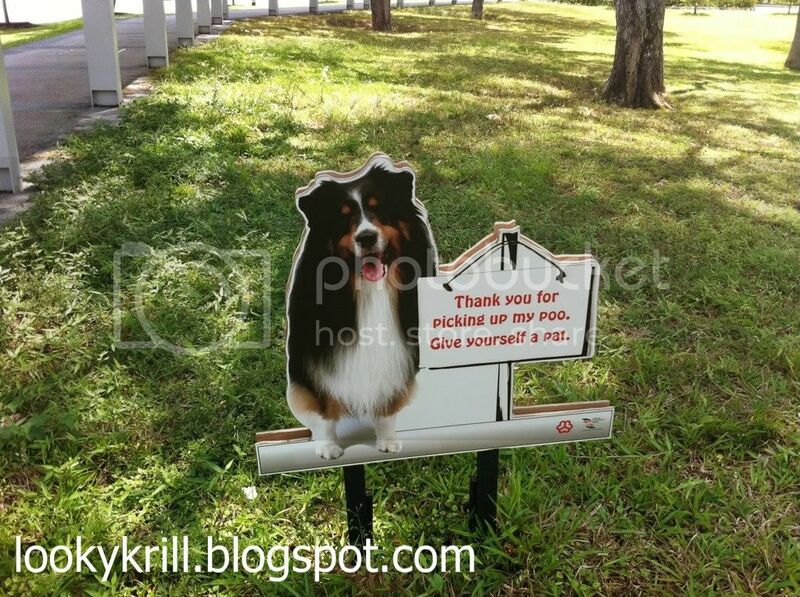 I wish they put up this sign in all the neighbourhoods because the dog owners in my area just let their pets poop every where and leave it for innocent neighbours to step on their pet leavings. It’s gross. Anyway, we had to cross the estuary and walk to the former School of the Arts (SOTA) campus, that was turned into the Goodman Art Centre. The ceramics studio wasn’t the only thing that was at the Centre. They have a few other studios and the centre also houses the National Arts Council (NAC). We made our way to the sales office of the ceramics studio and paid for the class and the 2-year membership too. We then headed to the studio for an introduction to what we’re about to do. 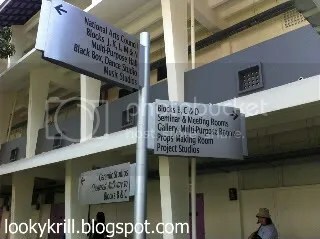 The studio was spacious, with a lot of equipment that I’ve never seen before. There was a grinder of sorts so that they could grind up unused excess clay for recycling, three different kilns and a pottery wheel. I’ve never seen those things up close before. Our instructor gave us a tour and showed us some of the works done by the other students and artists who use their facilities. It was interesting to see the different artworks and especially those done by young children. They were very good and very imaginative too. After the tour, she showed us how she made the plain mugs that we were going to use for the day’s class. She slapped on a lump of clay onto the wheel and with a little bit of water, she magically transformed that lump of clay into something else. Ok, so it wasn’t magical but for artless people like it, it seemed like magic. The mugs that we were going to work on were made the previous day as it needed some time to dry and harden so that it wouldn’t break so easily when handled by amateurs like us. We sat at the table and listened carefully as she gave us instructions on what to do, like making the handles or how to decorate the mugs. It was a very interesting experience and compared to the rest of them, my mug decoration work was shoddy at best. I don’t have imagination when it comes to art stuff like this so I just made what I like; cats. They weren’t even nice looking cats. Dude said they look like troll heads. Ah well, at least everyone will know that the troll cat heads mug in the house mine. So once everyone was done with their own mugs, we left the mugs at the studio to dry for three weeks. The studio will also glaze it and fire it in their kiln for us, which are part of the package. If we want personalised glazing with different colours, we could come back in three weeks and colour the pieces ourselves, for an additional payment of $10. I hope that after the glazing and firing, my mug wouldn’t look so bad. I would love to go back and learn to do more things at the ceramic studio.